The implosion of the mid-20th century Capital Plaza represents a unique opportunity for the City of Frankfort to remove an underused, elevated platform which negatively impacted the small-scale downtown for half a century. While Frankfort’s downtown benefits from pockets of existing historic fabric, a prevalence of one-way streets, limited access to the Kentucky River and a general lack of downtown housing options compromise the city’s vitality. The Master Plan identifies ten design principles and six focus areas. New mixed-use developments transform the gateways into the downtown and improved circulation patterns that facilitate mobility for pedestrian, cyclists and vehicles. A boathouse, river decks, and viewing platforms reorient the downtown back towards the river and strengthen Frankfort’s identity as a destination for tourism, commerce and recreation. Click HERE to see a short video of community support for the Master Plan! The distance between Piqua’s downtown and its riverfront is less than it appears; the two are very close. Stronger connections are needed that enable the life and vitality of the Great Miami River and the regional trail network to link to the downtown commercial district. 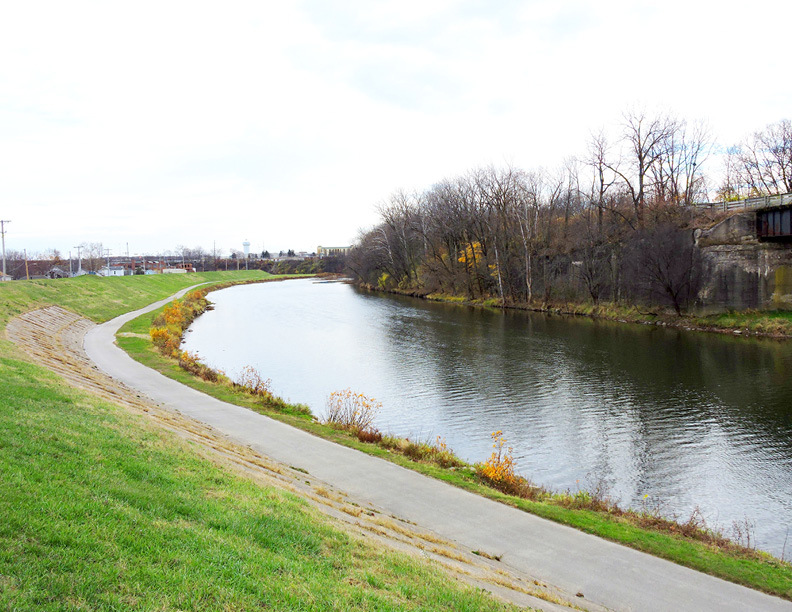 A central gathering spot is needed in the location where the former Miami and Erie canal passed through the downtown and linkages between destinations need to be enhanced. Modifications to the existing levee wall in the form of a stepped terrace enable a direct connection to be forged that connects the lower bike trail to the elevation of the downtown. A terraced fountain recalls the historical alignment of the former canal (currently buried). 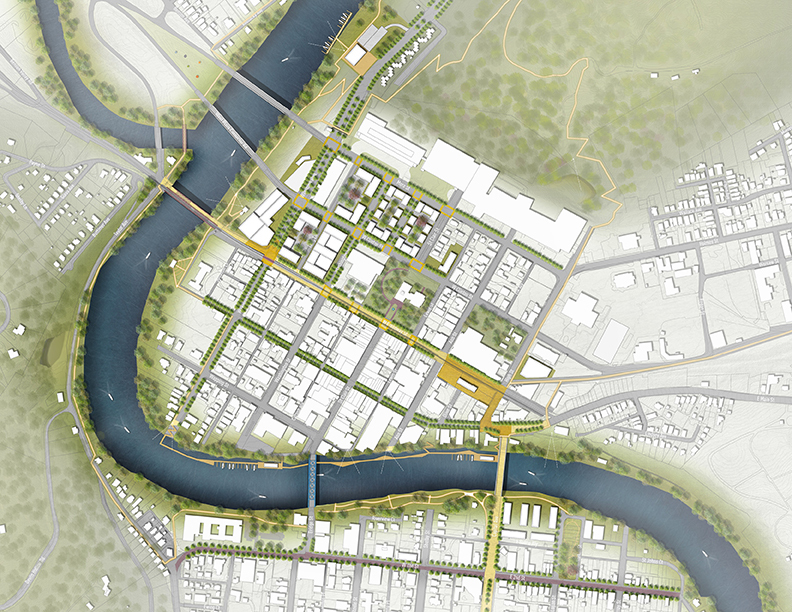 The infrastructure improvements connect along a canal corridor where largely vacant and former industrial buildings are repositioned for artist studios, maker spaces and light manufacturing. The Town of Braintree has acquired a collection of former municipal electric light waterfront buildings that have been vacant for over 20 years. The neighboring residential community is concerned about the impacts of new development on the site and the local neighborhood association has recommended a riverfront park. However, the town is interested in redeveloping the property into a mix of uses to activate the property and stimulate the surroundings. A community planning process was established to create three alternative redevelopment scenarios. 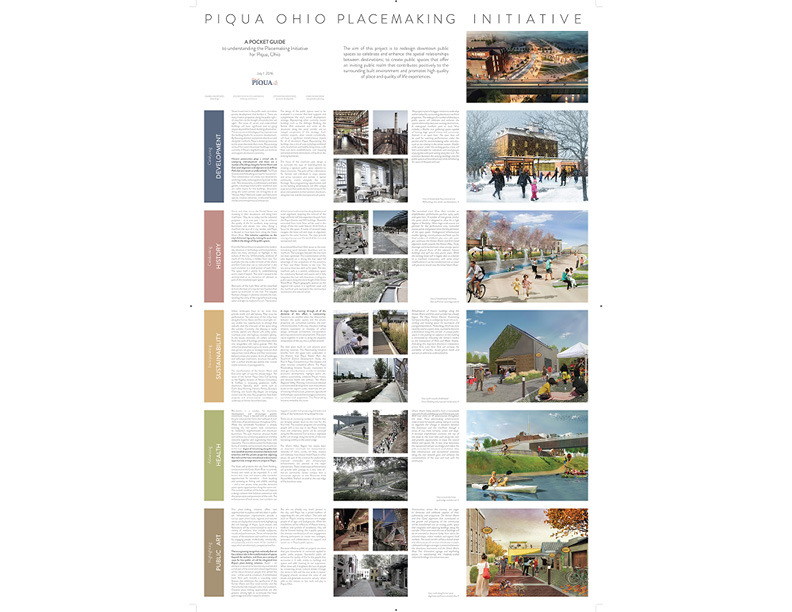 Each scenario built from recommendations by the community about potential programs on the site and spanned a range of building scales. 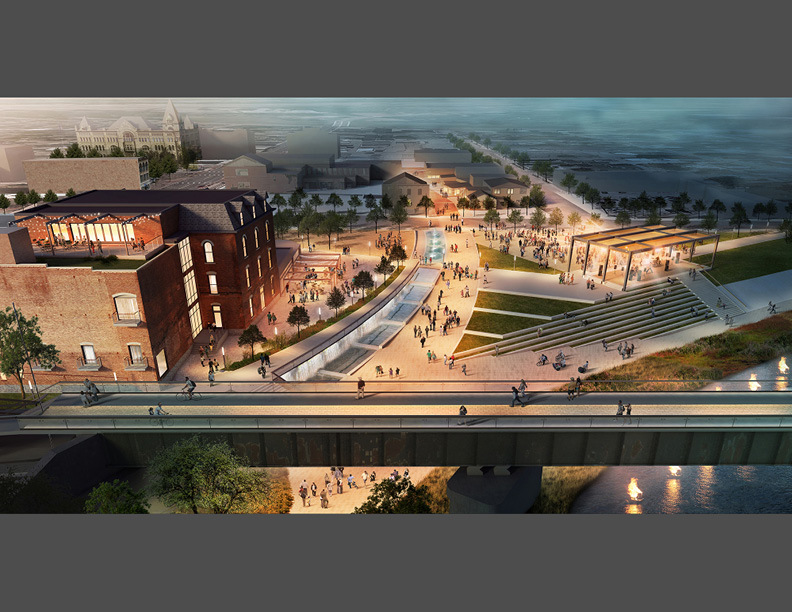 Residential, arts and business incubator plans each included an open space component, generating some economic benefit to the site but also maintaining an appropriate amount of publically-accessible open space and access to the river. Unlike many of its peer cities, Davenport did not build a levee wall along the river. 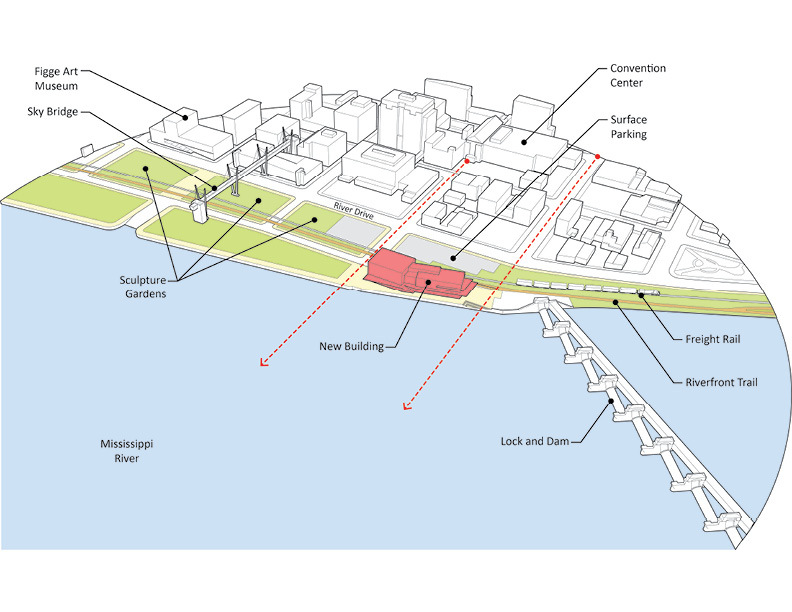 On the one hand, that means that the downtown has views to the Mississippi River but, on the other hand, any new development must guard against the impacts of flooding. In Davenport, the relationship to the water is more intimate, as the space between them is occupied by a gradual slope and acres of surface parking and associated infrastructure. In response to these dynamics, our role was to evaluate the development potential for a site along the river and within an open space master plan (led by Hargreaves Associates). Buildings located within the flood plain must either anticipate being inaccessible for extended periods of time or be constructed in a manner that allows the building to function normally during periods of rising water levels. 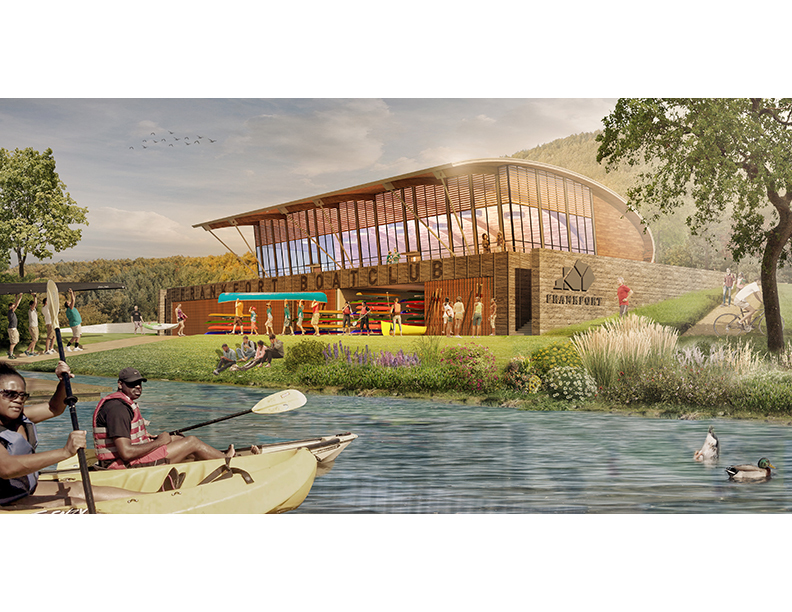 The development parameters for the site took into account the master plan park design and leveraged the programming opportunities associated with new development. Large, un-programmed open spaces seldom create the catalytic effects that one seeks in urban settings. Creative programming and complimentary building uses bring activity to parks. The Town of Sanford has two dozen known brownfield sites within an historic Millyard of nearly 1 million square feet of vacant space. 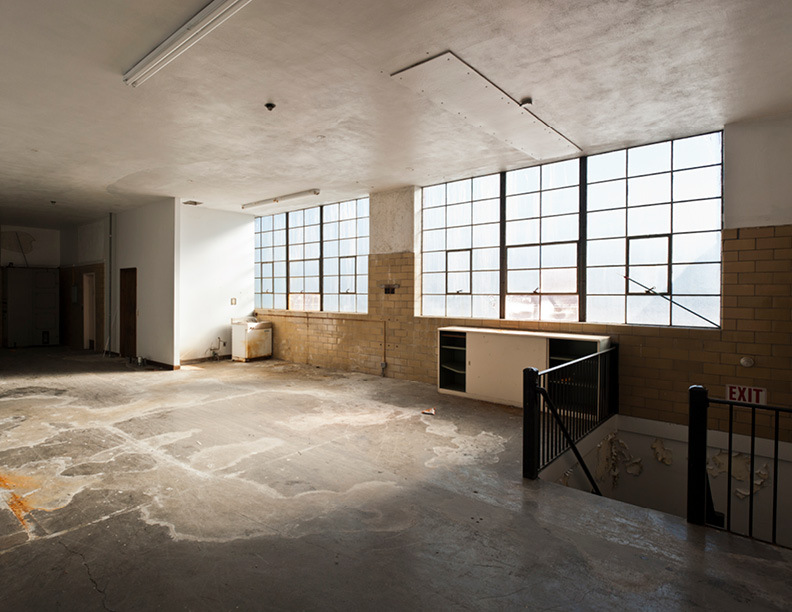 While many of the mill buildings are in good condition, there is a need to identify a viable reuse plan in an economy that has little market demand for such space, and to enhance connections between the historic Millyard and Main Street. The Millyard rehabilitation centers on identifying the growth economies in the region that could be attracted to the Millyard if it were repositioned. The plan leverages the existence of the Mousam River to redevelop the buildings in an incremental manner, building off of specific market niches not currently identified in other communities. Three miles of riverfront adjacent to the downtown contains a mix of active and abandoned heavy industrial land, restricting adjacent neighborhoods and the public from accessing and enjoying the river. A series of open space “windows” orient new development perpendicular to the water while three parallel “ribbons” differentiate pedestrian, car and future light rail corridors. Five distinct neighborhoods nested within the study area require varying degrees of density and building typology to be dictated through a Form-Based Code, rewriting the existing zoning for the area. 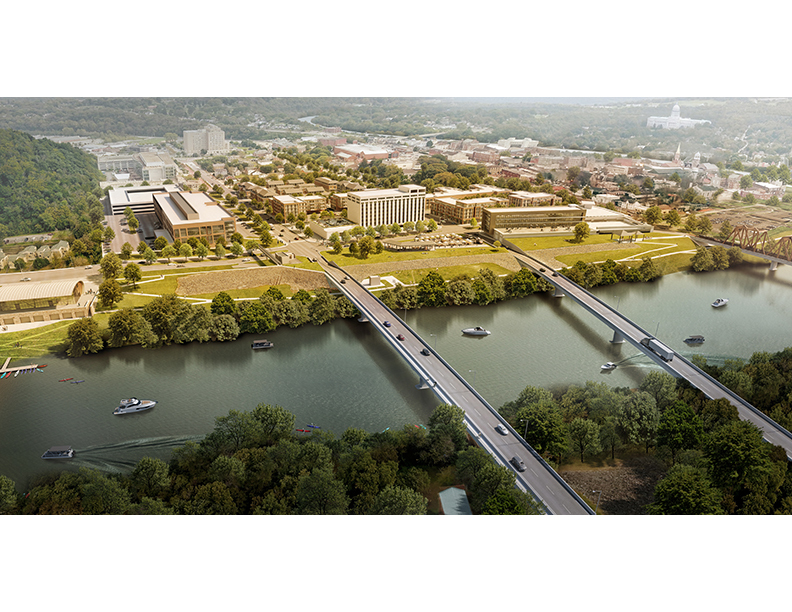 Extensive public process established the vision for the Knoxville South Waterfront.